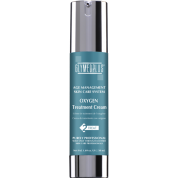 GlyMed Plus age Management Skin Care offers anti-aging solutions for aging, injured and skin damaged by environmental elements. Age Management is a comprehensive line of products that work to gently cleanse, and treat skin. These products help restore balance and provide protection for all types of skin while encouraging cellular recovery. Alana loves these products and is proud to offer this proven formula to you! GlyMed Plus believes in keeping our planet clean through recycling, and green energy. They want to do their part to keep harmful chemicals out of the air, water, and soil. GlyMed Plus products do not use artificial colors, animal by-products, artificial fragrances, phthalates or lanolin. GlyMed also takes great pride in supporting breast cancer survivors around the world by donating professional products to aid in their recovery and rehabilitation process. Tell me More about GlyMed Plus Age Management Skin Care! Skin Care by Alana offers 19 GlyMed Plus Age Management products! We will review several of their most popular products. Glymed Plus Gentle Facial Wash - Use to tenderly cleanse and exfoliate your skin. This product was formulated without using soaps, SLS, or fragrances. It is a very thorough cleanser and removes daily dirt and oil buildup from you face, yet leaves the skin feeling fresh and revived. Use the GlyMed Plus moisturizer of your choice after cleansing. GlyMed Plus Intense Peptide Skin Recovery Complex: Intense Peptide Skin Recovery Complex uses five powerful amino acid formulas that have been clinically proven to address lines and deep wrinkles. This product contains sea whip extract, a strong, natural anti-inflammatory that is very useful in treating rosacea inflammation. GlyMed Plus Arnica + Healing Cream: This wonderful cream is a must. It aids in the healing of acne, bruises and even assists with sore muscles! Arnica is very useful in speeding up healing of post-operative procedures. 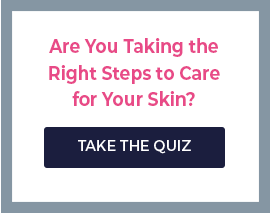 It is safe to use on all skin types. GlyMed Plus Arnica is so gentle and healing, it is safe to use on children’s skin!! Where Can I Buy GlyMed Plus Age Management! Skin Care by Alan is the perfect place to buy your GlyMed Plus Age Management products. We offer free shipping and either a discount or free gift, depending on the order. You can receive expert advice with your purchases. We care about you and want you to receive the product you deserve. We are open seven days a week and ready to answer your questions! Chat with us online or call us at (888) 222-0637. Our trained estheticians will be happy to help you in choosing the GlyMed product that will be best suited to your needs.